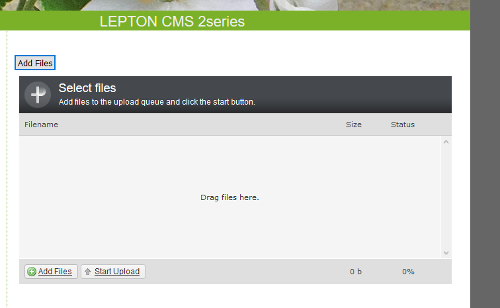 * This module creates an easy way to upload files into a specific directory. * Uses the plupload Jquery plug-in by the guys who wrote Tiny_MCE. * filter the type of files allowed to upload. * Large files are chucked up. * Client side image resizing. * Backend provides easy one click set up.